Russian diplomats are celebrating their professional holiday. 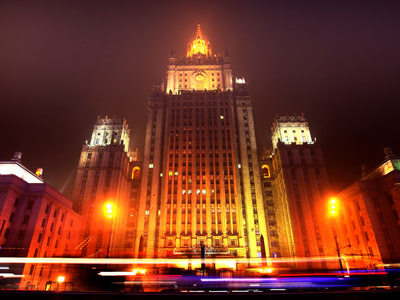 The Foreign Ministry head and the country’s president have congratulated the diplomatic corps, reminding of the sophisticated tasks the Russian diplomats are facing. 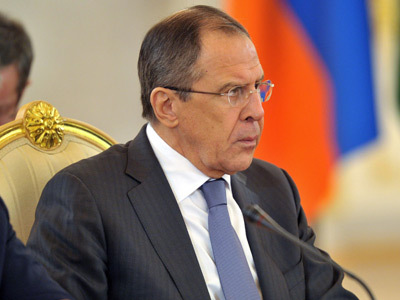 Russia’s Foreign Minister Sergey Lavrov felicitated colleagues in a video address, saying that modern world is in a complex situation due to continuing economic crisis, political instability, multiplying regional conflicts and evident lack of trust in international relations. 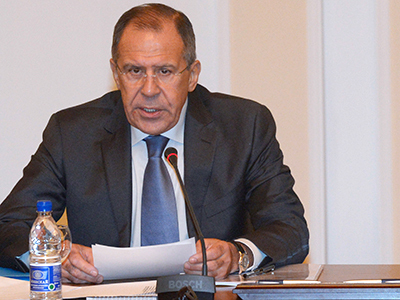 The world needs collective action to confront conflicts and it is crucially important to do so on the solid basis of international law, Lavrov stressed. Russian FM proclaimed promotion of Eurasian economic integration one of the most ambitious aims of the Russian diplomatic corps, adding that the center task of the diplomatic corps is to make Russia prosper. However rich is the arsenal of methods and advanced technologies used by Russian diplomats these days, above all is retaining loyalty to Motherland and being ready to give tooth and nail to accomplish the task, Lavrov concluded. “Not only is it important for us to be at the cutting edge of events, we should also try and be ahead, and take steps to reinforce our policy aimed at securing the utmost favorable external conditions for a safe and prosperous Russia,” the Foreign Minister said earlier as he laid flowers to memorial tablets commemorating Russian diplomats who served at home and abroad. It was Vladimir Putin who introduced Diplomat’s Day in Russia during his first presidential term in 2002, the year of 200 anniversary of the Russia’s Foreign Ministry (the name given by Emperor Alexander I). The date January 10 was chosen because on that day in 1549 Russian Diplomatic Service (Posolsky Prikaz) was actually founded. “I am convinced that Russia’s authority and influence of our country in international affairs will be increasing. I am also sure that Russian diplomacy will continue faithfully and devotedly serve the Motherland,” Putin said in telegram of congratulations. Today Russian diplomats actively work in practically every significant international institution like the UN, G8, G20, APEC and other international and regional forums. There're more than 12,000 people in the Russian diplomatic corps, which includes diplomatic missions in 149 countries worldwide. As modern diplomacy undergoes changes, becoming more diverse and dynamic, the fundamental principles of the Russian diplomats remain unchangeable: professional culture of the highest level, profound knowledge of international relations, allegiance to native land and deep respect for the duty station country. 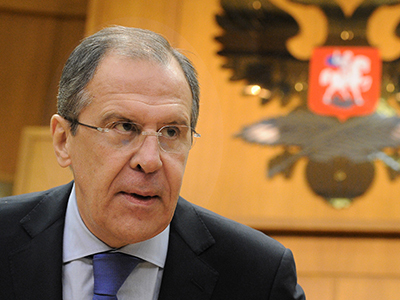 Speaking on the outcome of the year 2012 in the end of January, Sergey Lavrov said that the world is going through unprecedented transitional period, but key principle of Russia’s foreign policy will stay intact: supremacy of international law equal towards all nations. 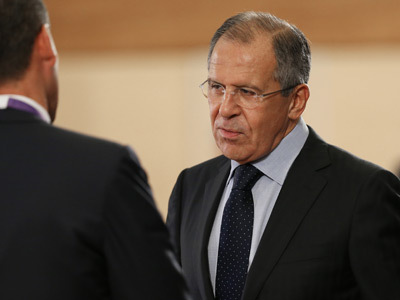 Speaking about Syria – currently one of the hottest topics on the international diplomatic arena – the Russian FM urged the warring sides of the Syrian conflict to get to negotiation table and stop the bloodshed. In the exclusive interview given to RT in the last days of 2012 Foreign Minister Sergey Lavrov also stressed that Russia in no way is “in the business of regime change” in Syria. 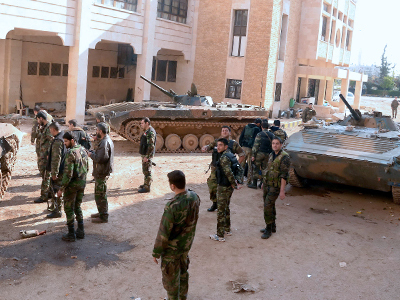 After practically two years of civil war in Syria a resolution of the conflict through negotiations has probably appeared on the horizon as Russian diplomats have noticed that fierce rhetoric of the western critics of President Bashar Assad is showing tendency to change. The Syrian opposition that previously refused to negotiate with Syria’s officials are considering taking a seat at the negotiation table. “The tone of discussion on Syria in the [UN Security] Council, in private consultations in the Council has changed. That’s for sure,” told RT in an exclusive interview Russia's envoy to the UN Vitaly Churkin. “This change is clear here in our informal discussions in the Security Council, this change is clear in the contacts we have had with [UN-Arab League peace envoy to Syria Lakhdar] Brahimi, the trilateral contacts which he proposed,” Churkin told RT. Russia’s Western colleagues are beginning to realize that things were making a very dangerous turn in Syria, Churkin believes. Instead of a foreign intervention, Syria needs “humanitarian assistance… in ever larger scale, because of the dimension of the humanitarian tragedy,” and, above all, “more diplomatic support,” Russian diplomat pointed out. Russia expects delegations of the Syrian opposition to come to Moscow soon, told exclusively to Rusia al-Yaum (RT Arabic) Russia’s deputy FM Mikhail Bogdanov. Syrian Foreign Minister and other officials are also expected to visit Moscow, he said. 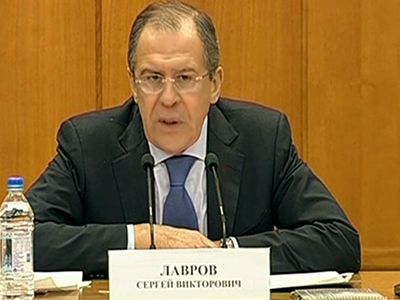 Bogdanov stressed Russia does not lack contacts with all sides and fractions of the Syrian conflict. “There is no shortage of contacts, what we do lack are concrete results of both ours and our partners’ work to make Syrians stop the bloodshed and destruction of their own country and get to the negotiation table,” underlined Bogdanov. 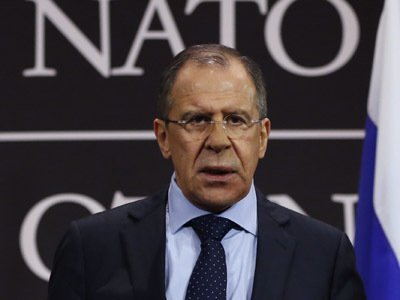 Speaking about Iran – another time bomb of the intenational diplomacy – Sergey Lavrov warned in January against attacking Iranian nuclear program sites and expressed hope that six-party international talks will soon restart to ease the strains around Iran’s nuclear program. 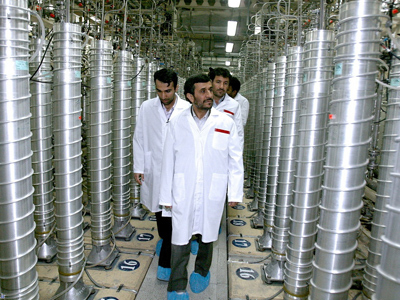 Throughout 2012 Israel had been calling on the US to jointly strike Iranian nuclear objects, claiming that Iran’s nuclear program poses existential threat to the Jewish state. Otherwise Israel was threatening to make a unilateral move and undertake an air strike against the Islamic Republic. But the military attack never happened. Moreover, the sides of the conflict are expected to sit at the negotiation table later this month. “We are looking forward to the resumption of the talks of the six with Iran in [Kazakhstan’s capital] Astana in late February. Russia's been extremely creative and active in trying to devise formulas which would allow the six on the one side and Iran on the other side to move towards a resolution of the concerns associated with the Iranian nuclear program,” Vitaly Churkin told RT. “And we have always welcomed the possibility of direct contacts between the United States and Iran,” he added.